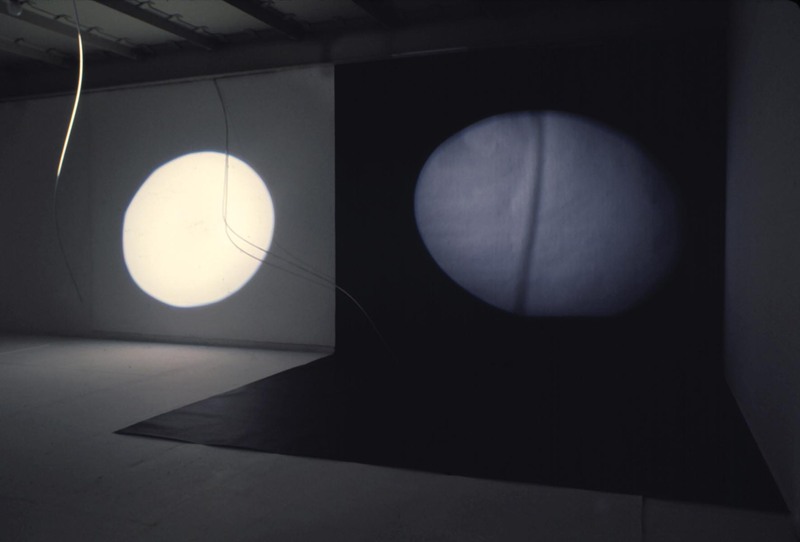 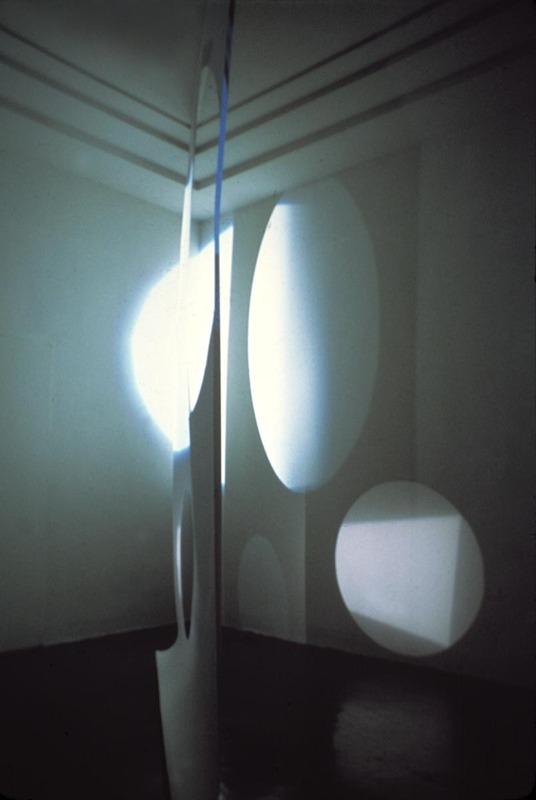 This work from 1976 was created at the Whitney Independent Study Program in the basement of an old bank building on Reade Street. 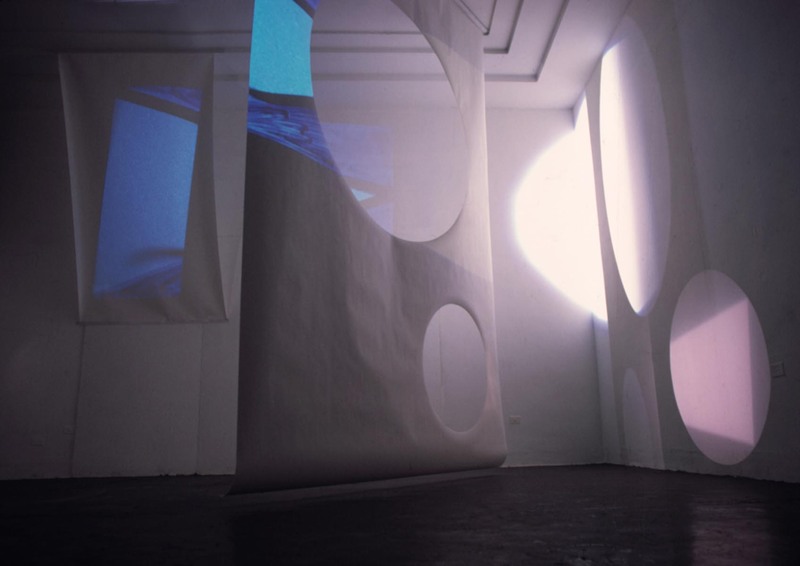 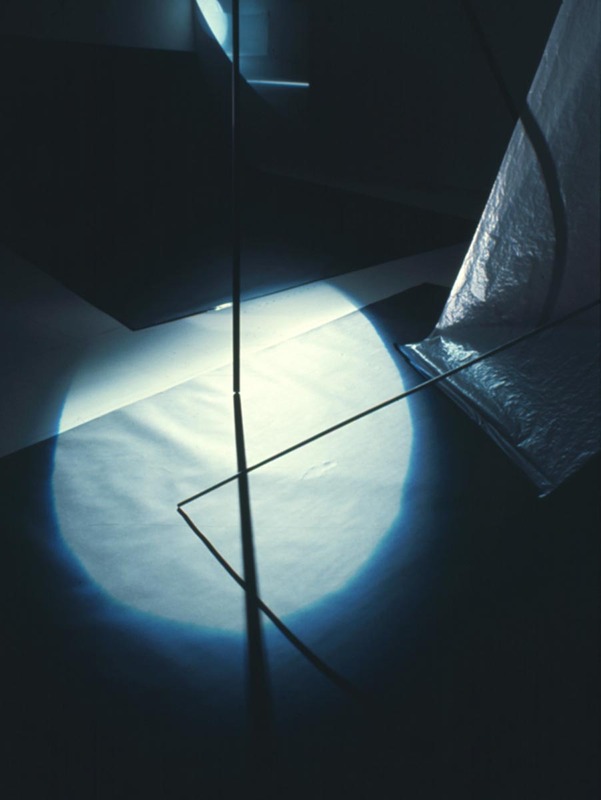 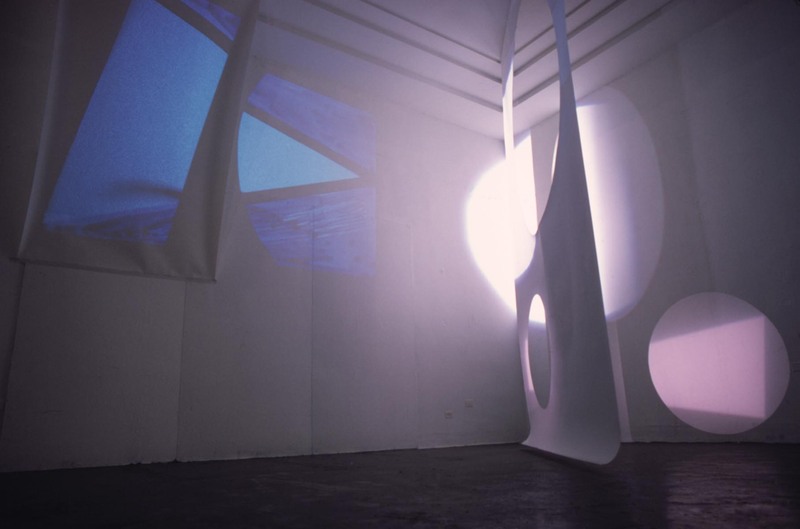 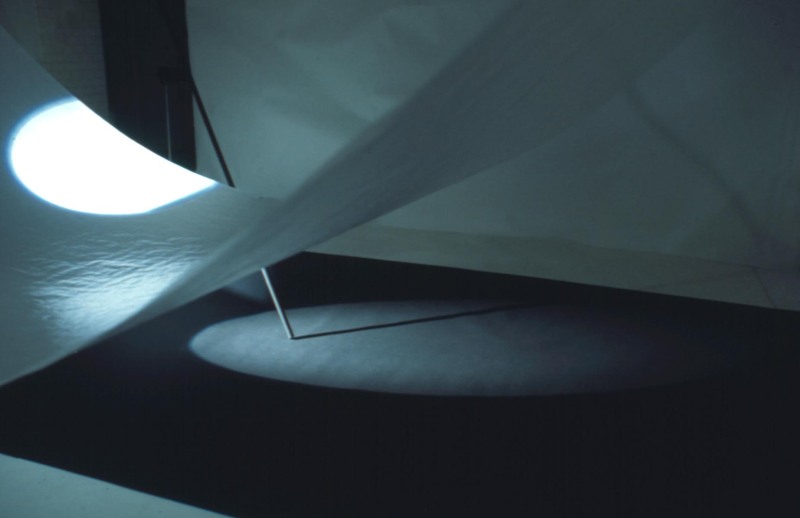 The pieces were constructed of simple materials: large sheets of paper, wooden or plastic dowels, spotlights and slide projections. 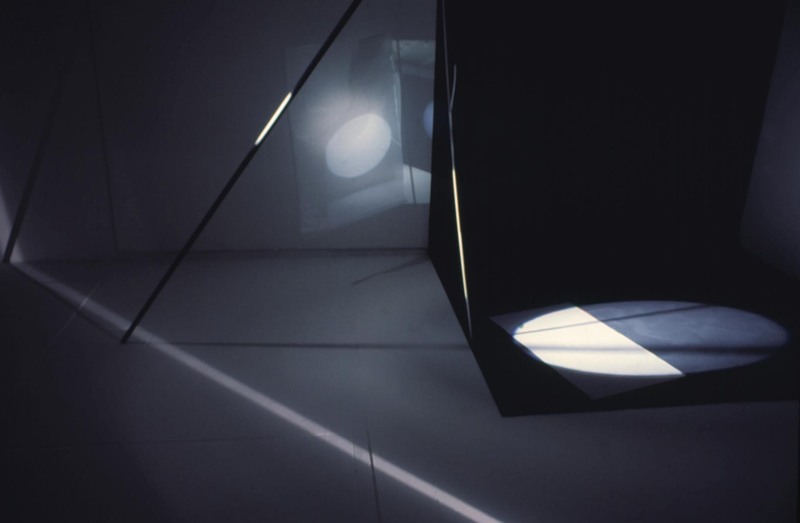 The light explored and delineated the angles and planes of the space. 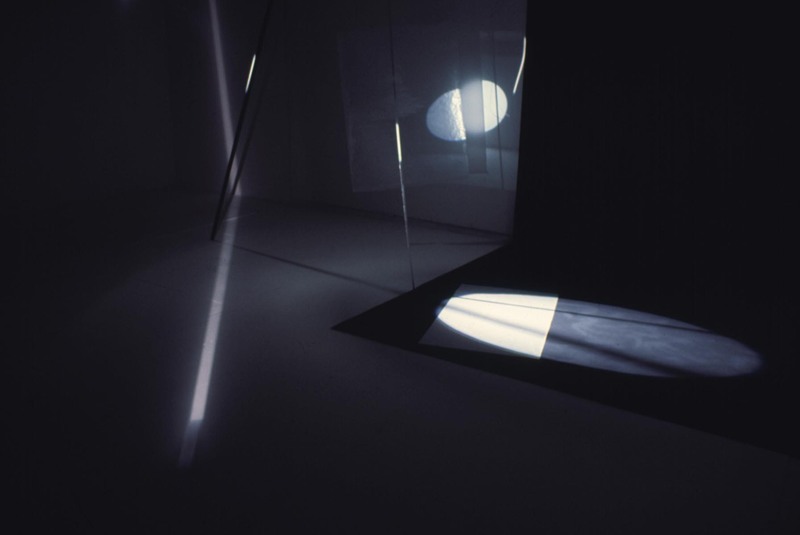 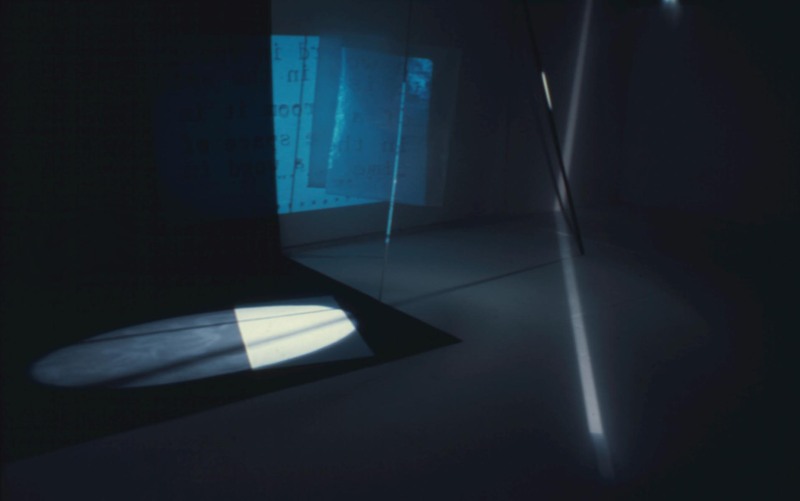 Ethereal and impermanent, with light and shadow as integral components, each installation was photographed then dismantled.